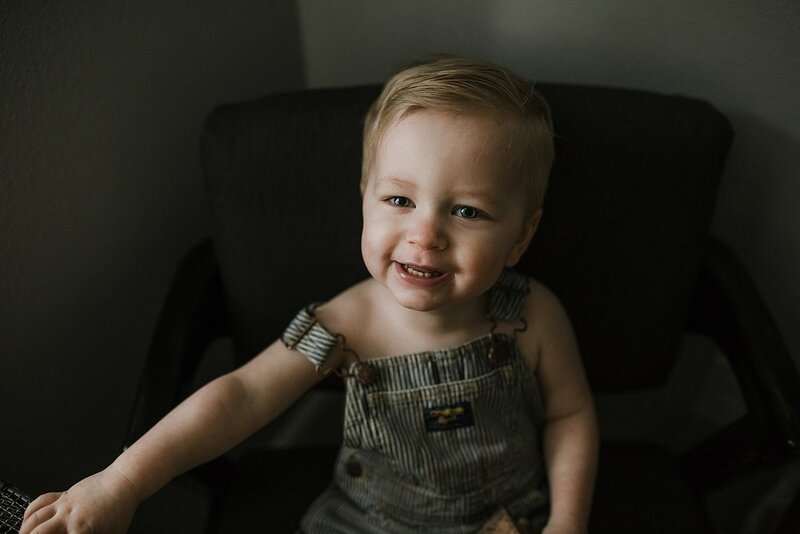 There's something special about little boys and overalls. They have always been an all American favorite of mine. There's something about them that makes them nostalgic and classic. This morning, after my coffee (of course), I saw gorgeous golden light pouring in which gave me a spark of energy. 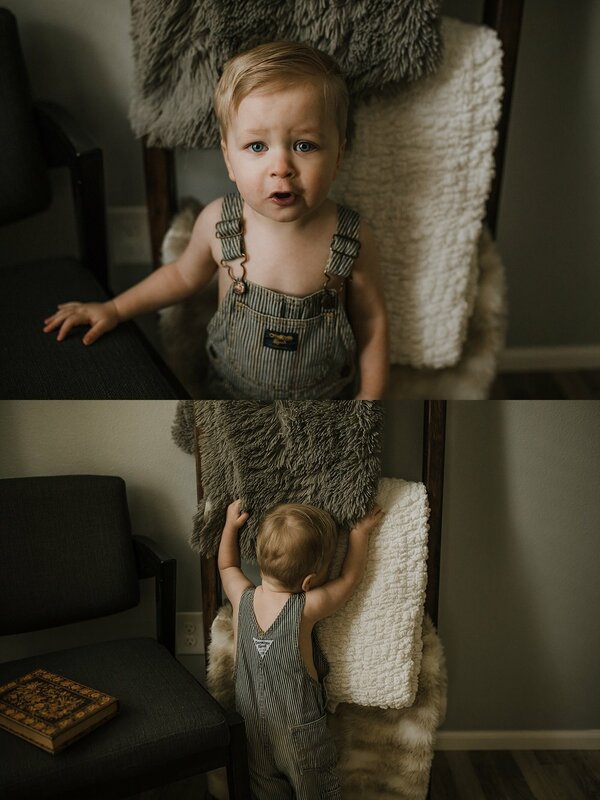 So I threw Liam into some overalls; the same pair that I shot Oliver's overall session in when he was 18 months old. Time flies people! I had the other boys occupied up stairs so I was able to have some one on one time with my youngest babe. It was quite a sweet little session. 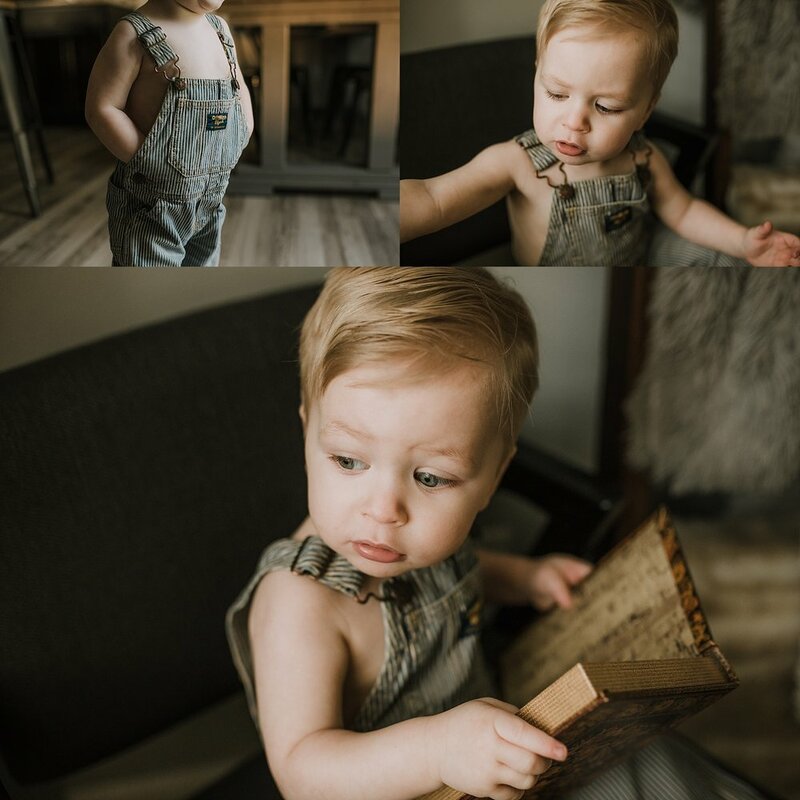 He just explored around the living area, he especially loved my fake books and climbing on and under the reading chair. 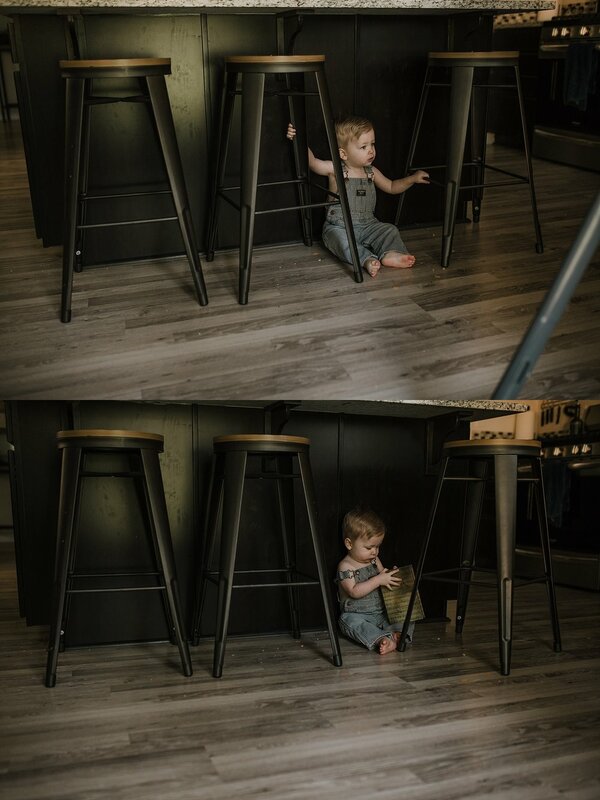 He also loved playing with the barstools, by the way, don't mind my unswept floor. I hadn't done my daily chores yet, this is definitely a glimpse into real life. I just loved following him around and laughing with him. 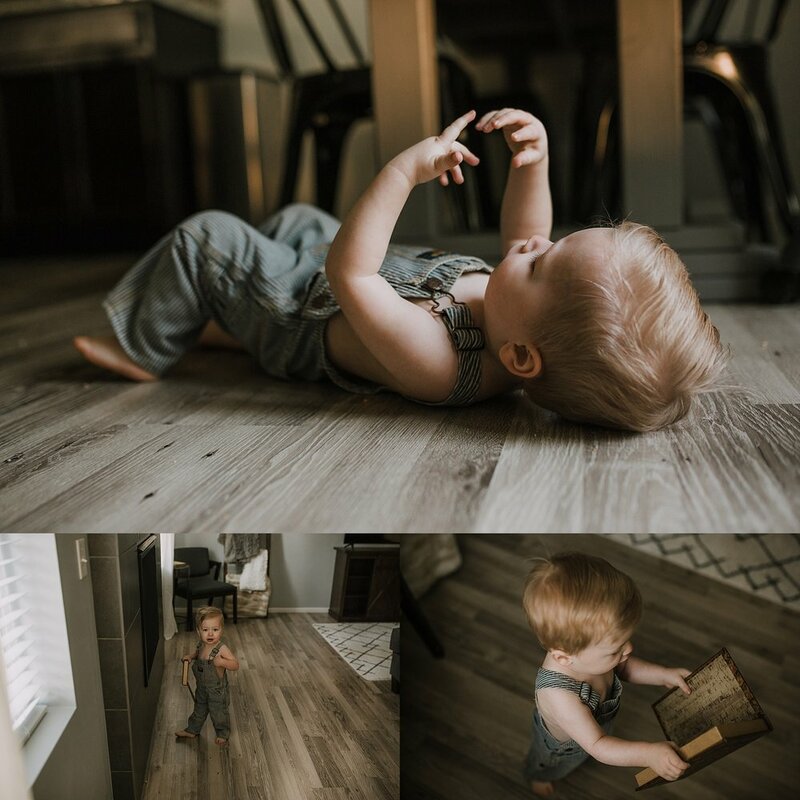 I love lifestyle photography for so many reasons. One of the BIG ones being that you truly get to press pause, freezing the moment of that little sweetie forever. Ordinary portraits are great but looking back and remembering just who they were at that tiny age is such a treat. Like I said earlier, times flies. I'm so thankful I have these little quiet moments to reflect on. I would LOVE the chance to document special moments within your four walls too. If you ever have any questions about what a lifestyle session looks like, please reach out. I always enjoy capturing glimpses of your beautiful life too. I hope these make you smile!